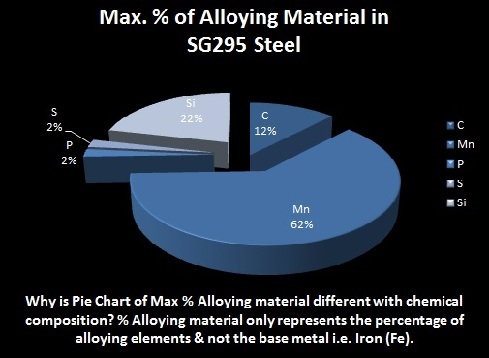 What is A615-75 Grade Steels? A615-75 grade steel is a structural billet steel for structural applications. A615-75 grade is a material grade and designation defined in ASTM A615 standard. 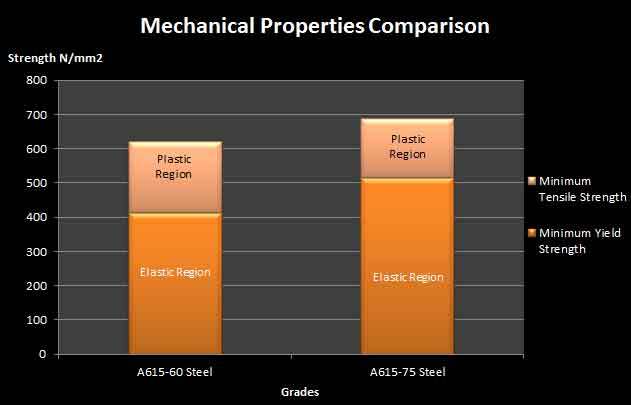 ASTM A615 is an international material standard for Deformed and Plain Billet-Steel Bars for Concrete Reinforcement for strengthening application. 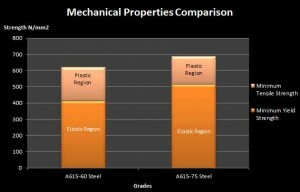 A615-75 grade Steel is higher in strength as compare to A615-60 steel. 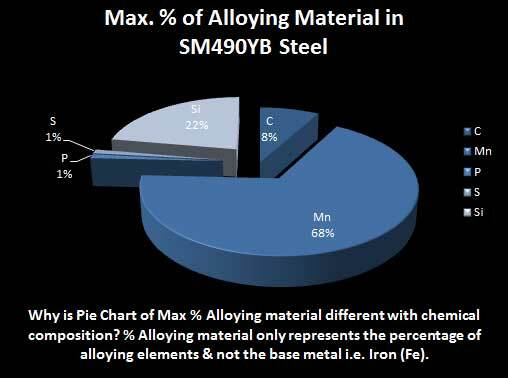 Dimensional Characteristics of A615-75 Grade Steels: The applicable diameter for this A615-75 GRADE material as defined in the ASTM A615 ranges to 19.1-22.2 mm. The perimeter is usually around 59.869.8 mm. The cross sectional area is about 284-387 mm2. Mechanical Properties of A615-75 Grade Steels: The tensile strength of the A615-75 Grade Steels is expressed in Newton per millimeters and it must be at-least 689 N/mm2 (MPa). The yield strength is minimum 517 N/mm2 (MPa). The minimum percentage ranges for elongation is 6% thicknesses. The capability to meaningfully decrease cost is motive alone to stipulate Grade 75 reinforcing steel. Additional benefits comprise condensed congestion and, for pillars and shear wall chord reinforcing, the option of rarer column ties due to fewer vertical bars. From a sustainability viewpoint, there are also environmental remunerations for example less steel utilized equals rarer carbon emissions by utilizing Grade 75. Experts say a time will come that A615-60 steel will be replaced completely by A615-75 steel.